What is that date on the window? The Archives and Special Collections (A&SC) windows feature a series of seemingly random numbers worked into the window’s graphic pattern. The numbers are actually dates, chosen by ASC staff, that are significant to the City of Toronto, Ryerson University, and Archives and Special Collections. Over the course of the next year our blog will feature some of the window dates and explain their significance. 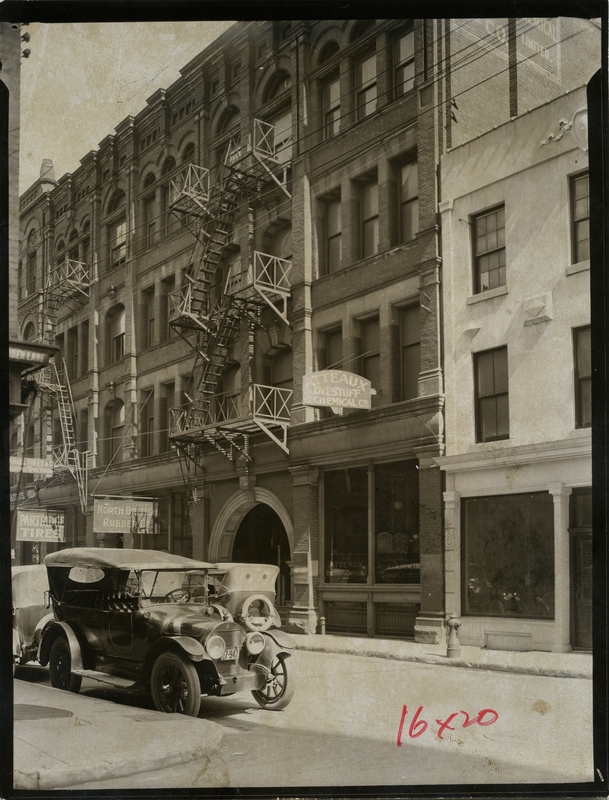 In 1899, after successfully operating on the American market for over a decade, George Eastman dispatched Kodak employee John G. Palmer to Toronto to determine the viability of establishing a subsidiary in Canada. Palmer discovered a robust market for photographic products and, on November 8, 1899, Canadian Kodak Co., Limited was incorporated under the Ontario Company’s act. The nascent company established headquarters in downtown Toronto, embarking on a relationship with the city that would last more than a century and would constitute the heart of the company’s manufacturing operations in Canada. 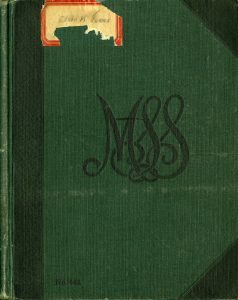 The Wellesley Hospital School of Nursing Alumnae Association fonds came to the Ryerson Archives and Special Collections in 2011. 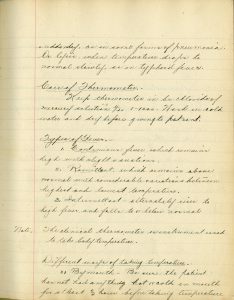 In it are several notebooks filled with course notes, and practical knowledge for the student nurse. 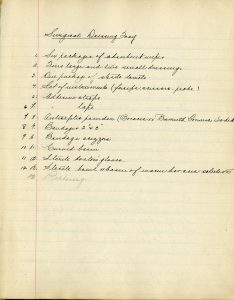 One of the notebooks dates to the 1920’s and belonged to Wellesley School of Nursing class of 1925 graduate Elsie Kathleen Jones. Elsie K. returned to The Wellesley in 1928 and became the Director of Nursing in 1937, the role she held until her retirement in 1964. 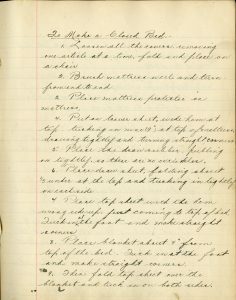 In the notebook there are notations regarding everything from making a proper hospital bed and caring for the sheets, to recognizing and treating a hemorrhage in a patient. The following are some excerpts from the notebook. Put on lower sheet, wide hem at top, tucking in nine (9”) at top of mattress drawing tightly and turning straight corners. Place blanket about 9” from top of the bed. Tuck in at the foot and make straight corners. Place the spread, reaching to the top of the bed, making straight corner at the bottom. Blood stains are soaked in cold water, then washed with soap and tepid water. For tea, coffee, and fruit stains use boiling water. If stains are still very persistent, use a solution of oxalic acid and rinse well afterwards in cold water. Is made from linseed or ground flax seed meal. It is most effectual because it can be used at higher temperatures with blistering, as the linseed contains considerable oil. *Note – Linseed poultice must be hot, light and smooth. 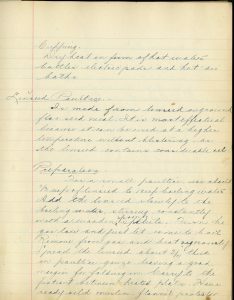 To view the notebook in its entirety or look through other items in this fonds – please contact the Ryerson Archives at archives@ryerson.ca. 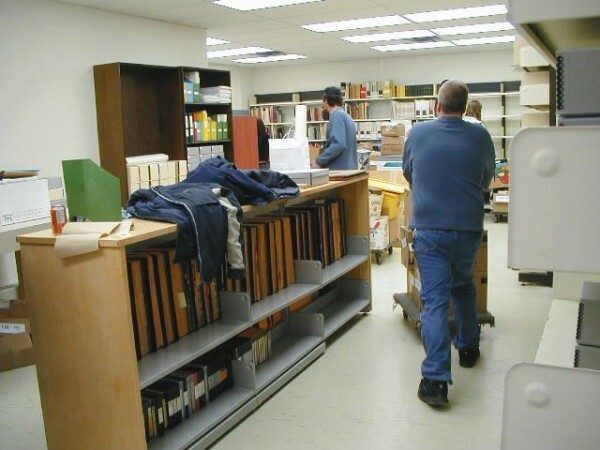 SPECIAL COLLECTIONS IS ON THE MOVE! Beginning Monday May 16 Special Collections will be rooming with the Ryerson University Archives while renovations happen on the 4th floor. 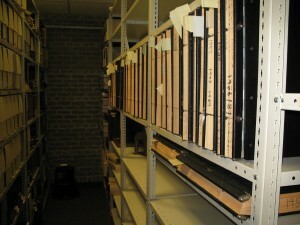 The Archives is located on the 3rd floor in the Library in room LIB387. The move will take several weeks to complete, but we will continue to offer reference and research appointments while the shifting takes place. 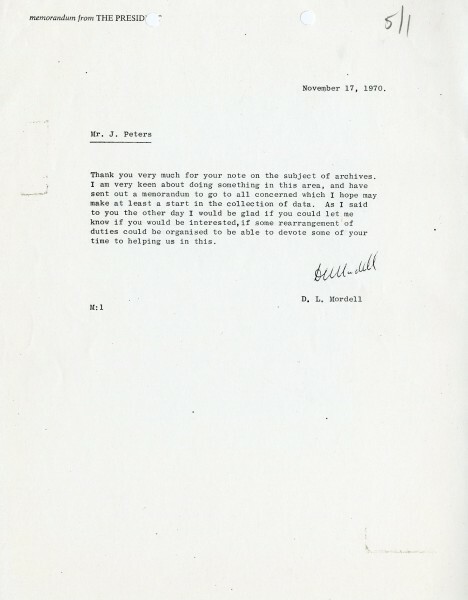 To access Special Collections please email specialcollections@ryerson.ca for an appointment. Fitting, Kodak was Special Collections first fonds and it is the first to relocate to the third floor. Clearing and disassembling of shelves has begun. Doesn’t take long to fill up the shelves. We are looking forward to an exciting Summer and Fall with A&SC finally located in one place! Check back here for move updates and photographs. 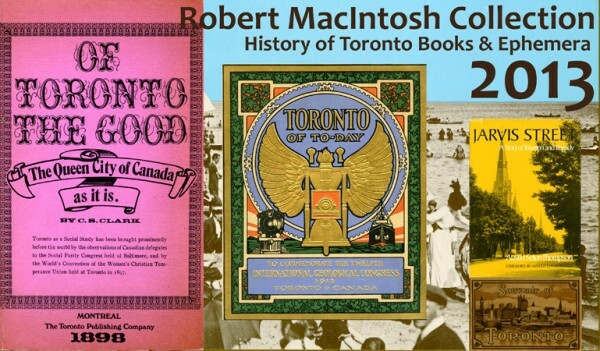 2015 marked the 10 year anniversary of Special Collections at the Ryerson University Library and Archives. It seems like a good time time to have a look back at where we came from, and where we are headed. 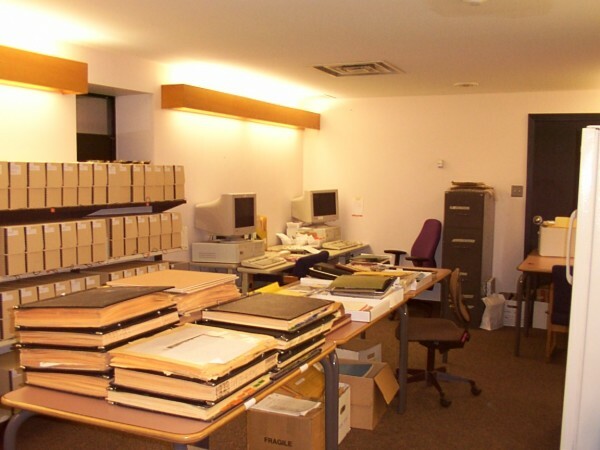 The Special Collections department at the Ryerson University Library was founded in 2005, with the acquisition of the Kodak Canada Corporate Archives and Heritage Collection after the Mount Dennis campus shut down. 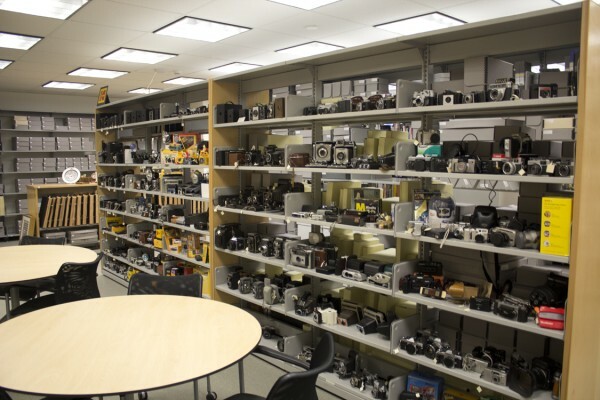 The collection includes the history of the company in Toronto since it’s arrival in 1900, and the contents of Kodak Museum that had recently opened at the Mount Dennis campus. At that time, Special Collections occupied a small storage space on the 7th floor of the library, big enough for the two PPCM students working on the collection, but with no public research space. 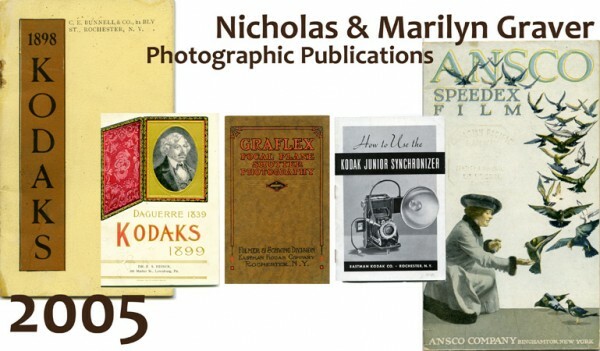 By 2006, we’d moved to a larger space, and our collections had grown to include book collections, acquiring the Michael Mitchell collection and the Nicholas and Marilyn Graver collections. Students were able to visit the collection, and internships were created to process the large collections. 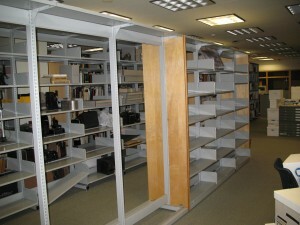 Though safe and secure, the new space was difficult to access by researchers. 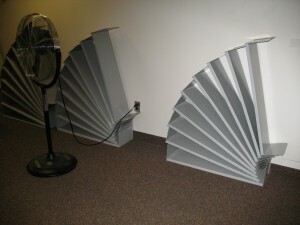 This was solved in 2008, when a more permanent, accessible space was completed on the 4th floor of the library. 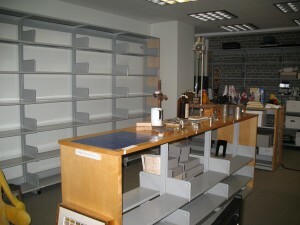 The new space featured more storage, exhibition and display space, as well as a research area and student work station. A modest exhibition program was instituted, and researchers gained an accessible reading room to explore the growing collections. 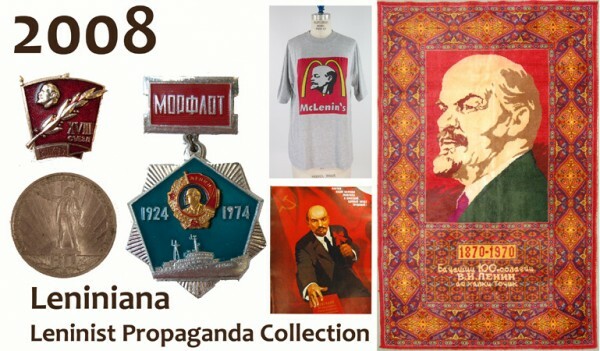 These included the Leniniana propaganda collection, the Lorne Shields Historical Photography Collection. We also integrated the library’s existing rare book collection, and the acquisition of the Canadian Architect Magazine collection was underway. 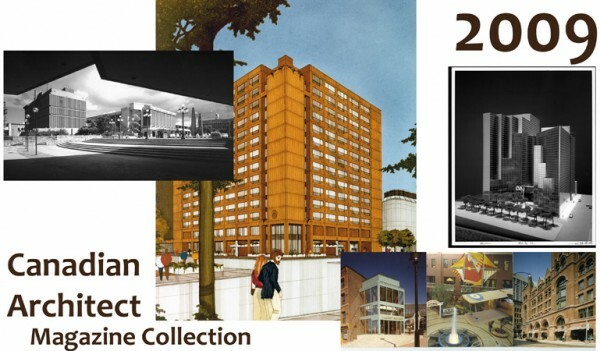 The future of Special Collections at Ryerson looks bright and includes an expansion of our space, and integrating with the Archives department, which will allow more accessibility to our researchers and more space for our collections. We will continue to grow our collection, in line with our revised mandate to support teaching and research at Ryerson University. Help us celebrate! Drop by to see a small selection of items from our most popular collections, now on display on the 4th floor of the Ryerson Library. 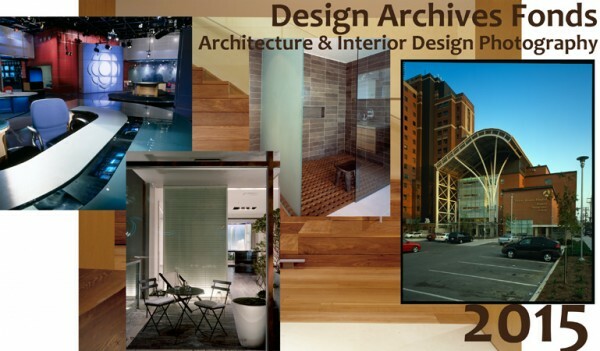 For more information or to view the collections call or email to make an appointment. 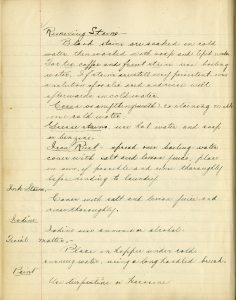 For the month of August, Archives and Special Collections will blog bi-weekly with points of interest from our collections. 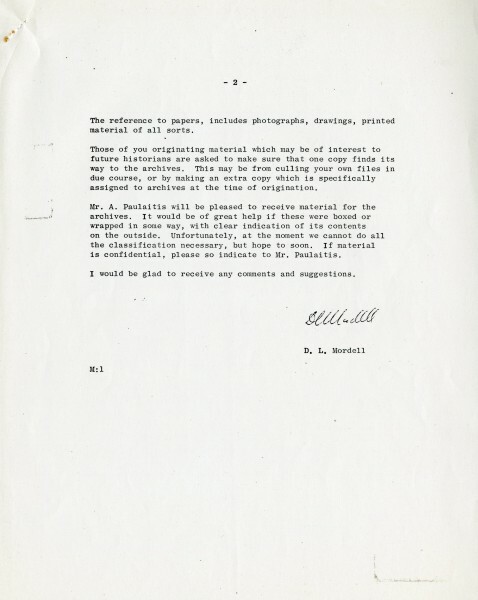 This week we look at documents connected to the birth of the Archives at Ryerson. In 1970 Ryerson Polytechnical Institute invited Professor D. McCormack Smyth to conduct a study of the structure of government at Ryerson. 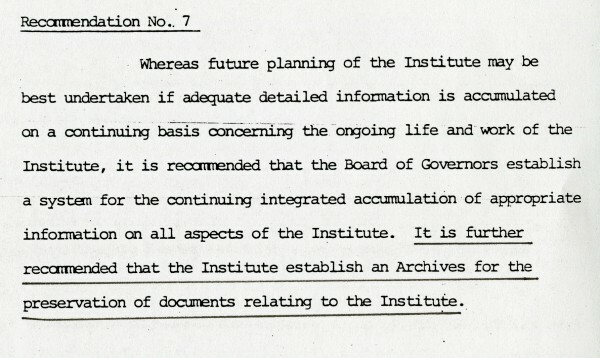 The Smyth Commission Report was published and its 7th recommendation was the creation of an institutional Archives. 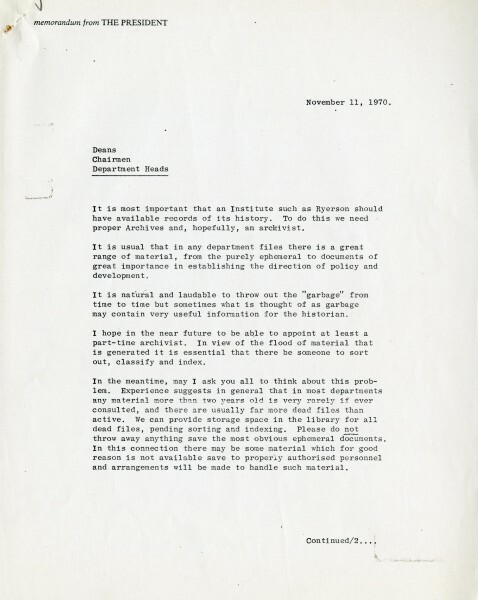 On November 11, 1970 Ryerson President Donald Mordell sent out the following memo to all Deans, Chairmen, and Department heads. 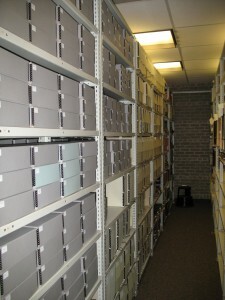 The Archives was officially established in 1971 as a special new department associated with the Library. 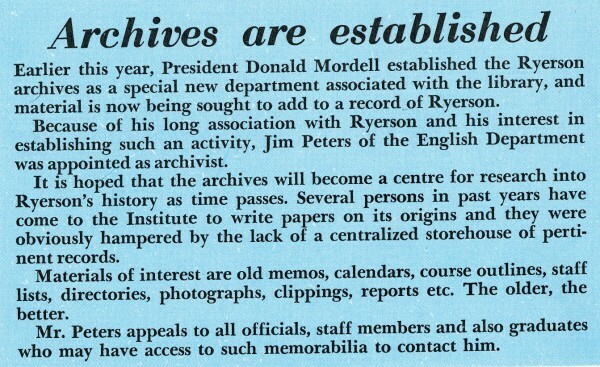 Jim Peters was appointed Ryerson’s first Archivist. 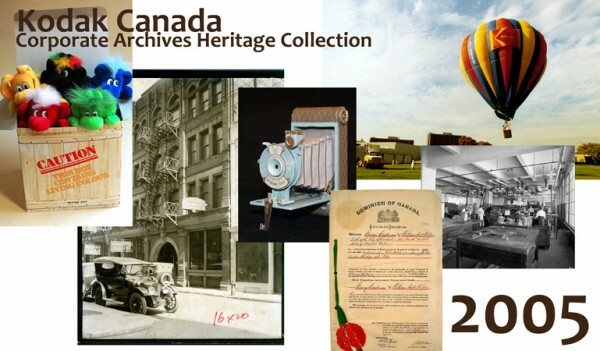 To learn more about the Archives and see what we have in our collections drop by. 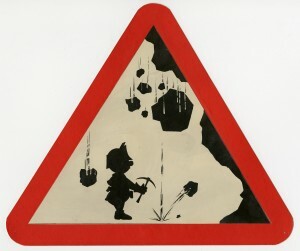 The Archives are open Monday – Friday from 9:00am t0 4:00pm.